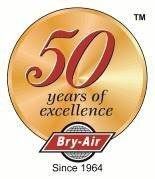 Bry-Air, Inc. environmental control systems allow for consistent and dependable control to prevent the effects of humidity on archives. Dehumidification is essential in the preservation of rare objects, records, paintings and books. Museums, libraries and archives are all custodians of national heritage and help to keep cultures alive through invaluable paintings, objects d’art and historical records. Therefore it is important that these items be preserved in their original state for future generations to enjoy. The natural environment takes its toll over the years and can lead to the decaying of paper, parchments, photographic negative film, as well as fading of organic dyes and colors. Constantly changing temperatures and humidity levels can also contribute to this process. Humidity, in particular, is a natural enemy of preservation. We are all familiar with the various forms of organic corrosion in which decay can occur at a rapid level in the presence of high humidity. Dehumidification keeps the relative humidity level low and stable, therefore retarding or preventing decay from organic mold formation. Museums and libraries should maintain humidity levels of 40 – 45% RH. This level of humidity prevents drying out of the materials while, at the same time, preventing warping and the formation of mildew. Archival storage may have different requirements depending on the item being stored. Negative film storage requires temperatures of 55-70°F and a relative humidity of 30%, while drawings and maps can be stored at temperatures as low as 50°F and 30% RH. Bry-Air, Inc. desiccant dehumidifiers, when used in conjunction with air conditioning, can provide the perfect environmental storage conditions for all sorts of valuable artifacts, documents and works of art. 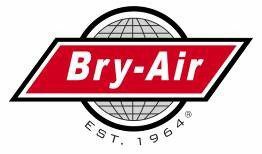 Bry-Air, Inc. dehumidifiers are currently being used for the storage of mummies in Egypt, Civil War articles in New York and valuable paintings at the Smithsonian Institute in Washington D.C.